By Shirley Ha, BSc., O.D. It’s no secret that traditional hydrogel daily disposables, and, more recently, silicone hydrogel daily disposables, have added a new dimension to our practices. The ease of fitting, convenience, easier care instructions, and the oxygen benefits of silicone hydrogels are fueling the growth of this market in Europe, Japan and North America. Yet, they are still not the be-all solution for every patient. Despite the greater oxygen transmissibility these lenses provide, the higher modulus, the poorer wettability and affinity to lipid deposits are causing patient symptoms and comfort problems. Data from 372 completed surveys in 27 countries around the world cite discomfort (41.9 – 52.9 per cent) as the primary reason patients drop out of contact lenses, followed by poor vision (3.8 – to 17.5 per cent) and cost (11.6 – 17.5 per cent). Over time, this can negatively impact practice economics. 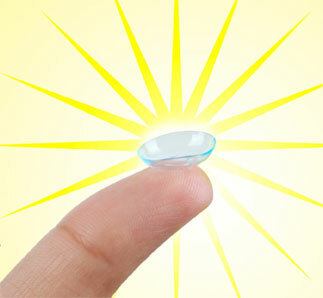 What, then, should the holy grail of contact lenses possess so that all patients can readily uptake these lenses? There is increasing focus among researchers on the frictional forces between the lens surfaces and the ocular tissues during blinking that cause end-of-day discomfort. Clinical complications exacerbated by friction or decreased lubricity include contact lens papillary conjunctivitis (CLPC) and pathognomonic conditions, such as lid-wiper epitheliopathy (LWE) and lid-parallel conjunctival folds (LIPCOF). Notwithstanding the idealistic properties such as high oxygen permeability, ease of handling, good optics, and stable pre- and post-lens tear film, the contact lens surface should also be “corneo-mimetic”, says Dr. Desmond Fonn, Distinguished Professor Emeritus at the University of Waterloo School of Optometry. Not only should it retain moisture, it should also have a low coefficient of friction (COF) or lubricious surface. There is an ongoing race to develop the “perfect” contact lens that is “biocompatible” with the ocular environment. Different manufacturers have taken different approaches in designs to retain moisture and increase lubricity. For example, Proclear® 1 day (62 per cent water Omafilcon A, CooperVision) has phosphorylcholine (PC) molecules within the lens matrix to attract and surround the lens with water, increasing hydration. DAILIES® AquaComfort Plus® (69 per cent water Nelfilcon A, Alcon) has three moisturizing agents: hydroxypropyl methylcellulose (HPMC) in the blister pack and polyethylene glycol (PEG) and polyvinyl alcohol (PVA) within the lens. The PEG is released from the lens early in the day and the PVA is released over time when the patient blinks throughout the day. Unfortunately, the lower Dk/t values, 28 and 26 respectively, can still put patients at risk for corneal edema and keratitis. With advances in manufacturing technology, we are again on the cusp of an exciting new era in contact lens product enhancements, thanks to the dedicated teams of eye health researchers, bio/chemical engineers and clinicians around the world. First is the Biotrue® ONEday lens from Bausch & Lomb. It is made with HyperGel™ (Nesofilcon A), a completely new hydrogel material that contains 78 per cent water to match the natural water content in the cornea. It has UV protection and can transmit, without silicone, sufficient oxygen (Dk/t=42) required for daily wear to prevent hypoxia. The surface of the high water content lens mimics the properties of the natural tear film to give excellent hydration, lipid resistance, lubricity and the comfort of traditional hydrogels. Because of its ability to maintain hydration and retain its shape, vision is also more stable throughout the day. Next is DAILIES Total1® from Alcon with phosphatidylcholine, a phospholipid found in cell membranes. With an impressive Dk/t of 156, the material (Delefilcon A) is a silicone hydrogel at its core with a “water gradient” that graduates from 33 per cent water content at the core to more than 80 per cent at the lower modulus hydrophilic surface. The innovative design is easy to handle, wettable, lubricious, highly breathable and comfortable because of its soft gel front and back surfaces. Available in early 2014 is MyDay™ from CooperVision, made with 54 per cent Stenfilcon A material with a Dk/t value of 100. It features a long network of oxygen-delivering silicone channels with hydrophilic arms called Smart Silicone™ chemistry. The company claims that since there is less silicone and more hydrophilic sites, the lens is easy to handle and naturally wettable. Despite very different approaches from these three lens manufacturers, the goal of creating a bio-mimetic lens that is wettable, lubricious or both remains the same. As with any “breakthrough” product, they require further study to see if they are really beneficial for our patients. Will the higher water content at the lens surface increase other deposits? What about lens desiccation and its effect on lens shape and optics as the ocular environment reaches homeostasis? And how much oxygen does the eye require? In summary, patient success and retention in contact lens wear depend on your determination of what is the most appropriate lens for them. Patients want good vision and all-day comfort above all else. You want lenses that are safe and eye healthy. Understanding the newest lens designs and materials is crucial to solving comfort issues and to prescribing the best alternatives for your patients, now and in the future.